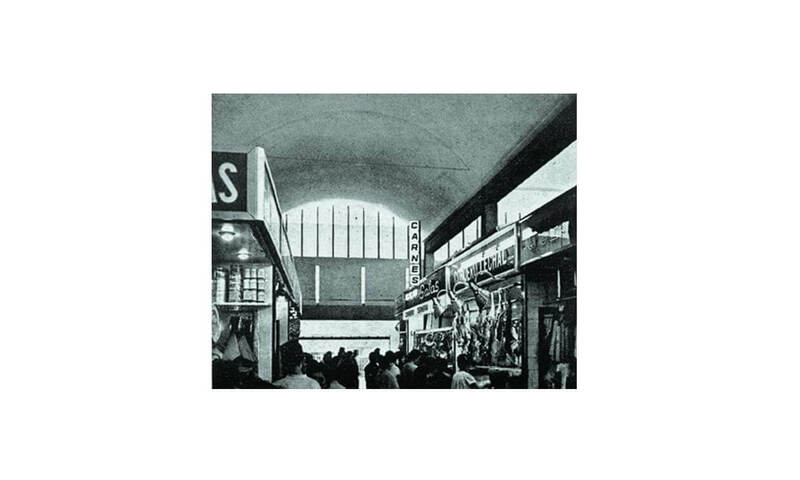 In the sixties, the construction of markets became a speciality in the studio of Josep Ribas González, J. Anglada and D. Gelabert, who used a modern language in their projects, totally abandoning the metallic structures commonly used in the nineteenth century. The Mercat de la Mercè, situated in one of the fastest-growing areas of Barcelona in the 1960s, is placed on a trapezoidalshaped site and has three levels: an underground floor for storage, refrigerated chamber, changing rooms and toilets; a ground floor, where the stalls are, and a first floor used for offices and the bar. 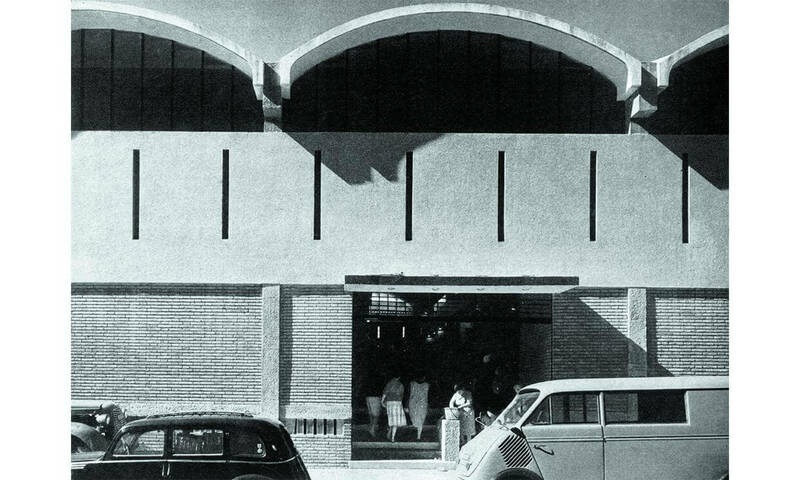 Reinforced concrete pillars and main beams support the wrought iron built with joists and small vaults, and the roof made up of Catalan barrel vault and elliptical section. 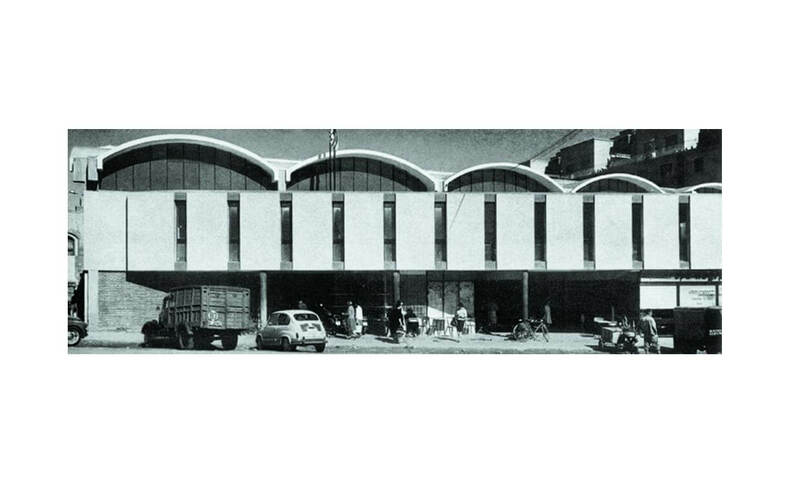 It is a light, open, well-situated building with elegant volumes. The lower part of the façade is in open brickwork, and the middle part, the rendered wall. 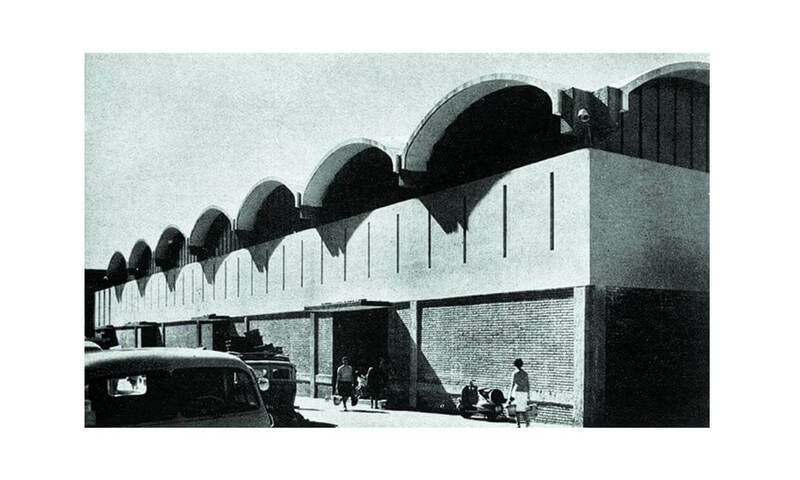 The roof, the most spectacular part of the building, is made up of a succession of seven vaults, which are inspired by Catalan tradition and in the use that Le Corbusier made of them. The outer part of the vaults is closed by half-moon large windows, which give the building a great deal of light.